With ingredients that are anti-inflammatory, disease-fighting, good for digestion and cold fighting! These items have been used for an array of diseases and health reasons. 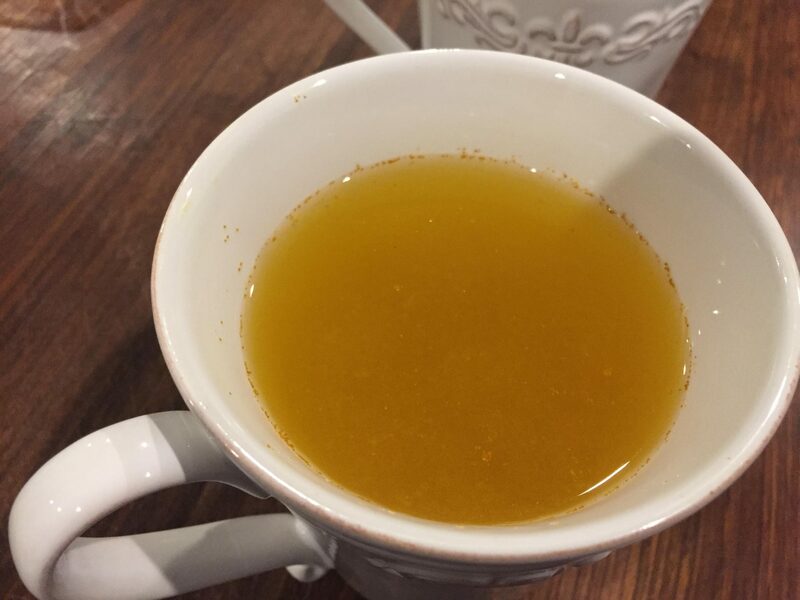 Plus, the honey makes it a pleasant drink at night that I enjoy for no other reason than the comfort it provides while I put my feet up. Try it after a large meal or in the evening after dinner. I also enjoy sipping it throughout the day in my travel mug. In a mug, pour in your water. Peel ginger and slice. Toss slices in. Add the turmeric and cayenne. It is always best to start slow and build up to more of these spices. Pour in the honey and mix.